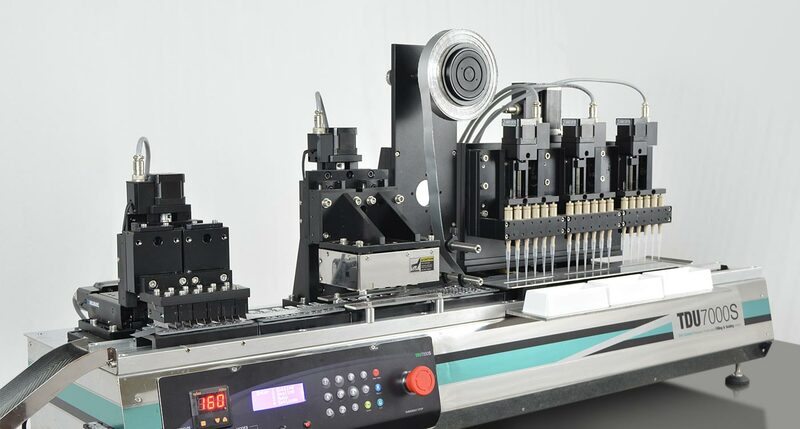 TDU7000S is a 3 x 6 channel Precision Automated Filling & Sealing station. Designed for filling and sealing of cartridges and tubes used in pharmaceuticals, biotech and biopharmaceutical industry. 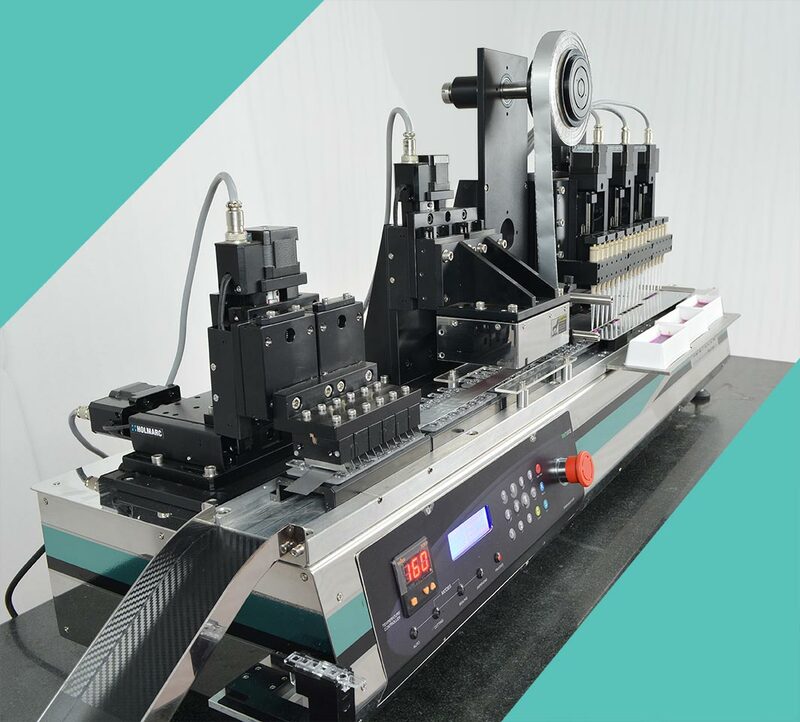 Machine is compact and provides higher production output. it also fulfils the desires of many manufacturers to have a truly customized solution to fit their needs. All contact parts made from high quality Stainless Steel 316. Machine body is elegantly finished from Stainless Steel 304. Cartridge sensing system to avoid wastage of costly liquid. High filling accuracy of ± 0.5% in single dosing. All operations on one platform, hence less space requirement.